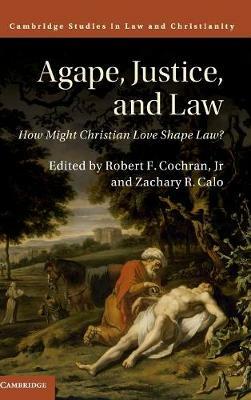 Author(s) Cochran, Jr, Robert F.; Calo, Zachary R.
In a provocative essay, philosopher Jeffrie G. Murphy asks: 'what would law be like if we organized it around the value of Christian love, and if we thought about and criticized law in terms of that value?'. This book brings together leading scholars from a variety of disciplines to address that question. Scholars have given surprisingly little attention to assessing how the central Christian ethical category of love - agape - might impact the way we understand law. This book aims to fill that gap by investigating the relationship between agape and law in Scripture, theology, and jurisprudence, as well as applying these insights to contemporary debates in criminal law, tort law, elder law, immigration law, corporate law, intellectual property, and international relations. At a time when the discourse between Christian and other world views is more likely to be filled with hate than love, the implications of agape for law are crucial.